Wait, how should we do this? 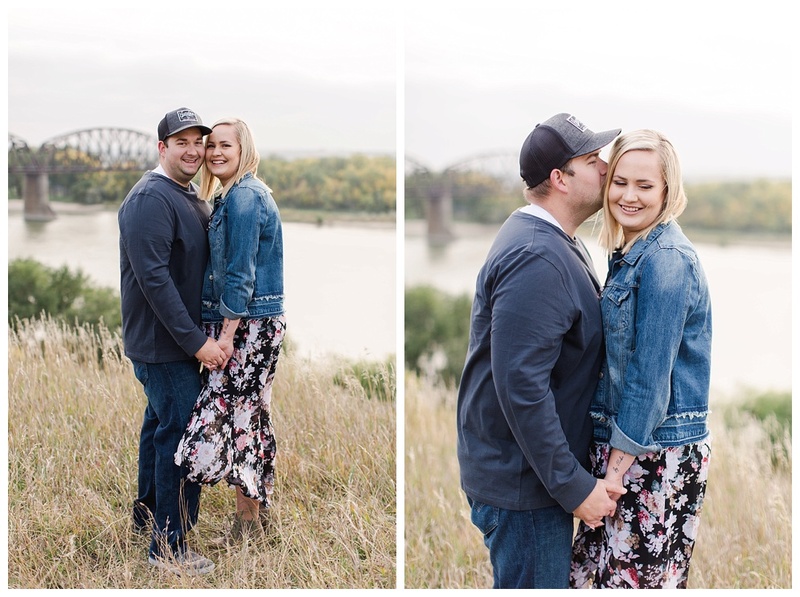 Back in early August Josh contacted me looking to set up a proposal session…..I was over the moon excited to be apart of this experience, my mind was racing with a million ideas. He informed me that his girlfriend Shelby had been a big fan of my work for years and keeps asking to get pictures taken together, which of course like most men he wasn’t a huge fan of the idea. So here is how it went down…..
Josh agreed to take pictures together as a couple and had Shelby reach out to me. Shelby and I set a session date in early September. Unfortunately that day did not work out. 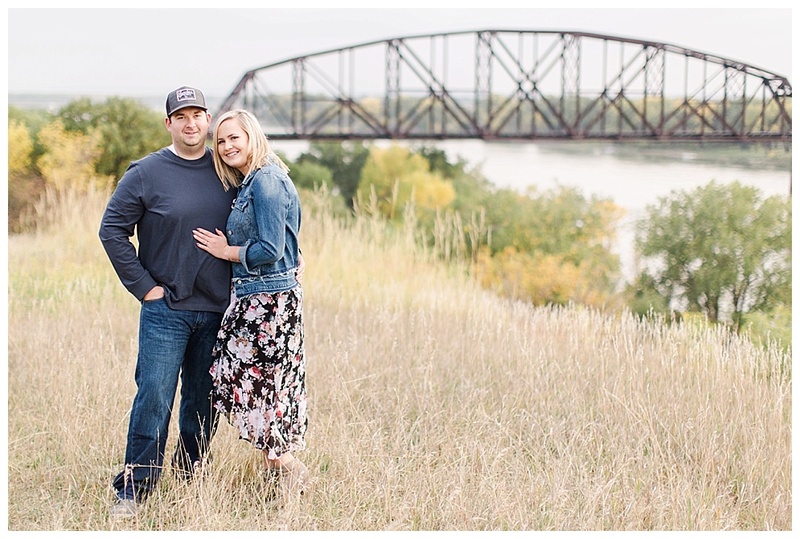 Shelby & Josh came down to Bismarck for their session and it rained! I was so sad but knew she wanted great pictures that didn’t include rain so we rescheduled. The worst part about this was not only had Josh shared his plan with his friend who was in town to celebrate after the session but also Shelby’s dad who then questioned if Josh had changed his mind! With our baby Rowan scheduled to arrive the following week we had to push the session out 3 weeks :( At least Shelby was completely clueless to the fact that she was getting engaged now since she had a little feeling it might be happening prior to rescheduling. Josh and I met up that afternoon checking out the locations and getting a game plan together. We decided the best way was to act as if they were moving into a sitting pose and then he would pop the question…..a few hours later it was go time! My hands were shaking, my heart was racing and yes I was crying a little. This moment was finally happening for them! Two strangers that I had just met that day trusted me to capture one of the biggest moments of their lives and I was honored to do so. Thank you Josh for including me in your proposal plans and Shelby for following my work for so many years. I know this moment meant a lot to the two of you and having me be apart of it speaks volumes. I also appreciate you bringing Baby Rowan a gift to our session, it was extremely kind and appreciated. I can’t wait to see where your love story goes next and hope to continue being apart of your milestones together!